Receive 5 points for every dollar you spend! Leave a comment on any of our blog posts! How Do I Join The NicVape Rewards Program? All you need to get started is an account with NicVape.com! You’ll earn points right off the bat for registering with our store and there are plenty of opportunities for more! Participating in promotions, sharing your thoughts on our blog posts and purchasing all your favorite NicVape products will help you to rack up points. You’ll score your first 50 points just by registering an account with NicVape.com and thereafter, you’ll receive 5 points for every dollar you spend. Every blog comment will gain you another 25 points and you can sign up for our weekly newsletter for bonus point opportunities! Once you reach 500 NicVape Reward Points, you can begin redeeming. Each point can be redeemed for a 1¢ store credit, so, 500 points = $5.00 store credit. After reaching the initial 500 point threshold, you will have the option upon checkout to redeem your Reward Points. 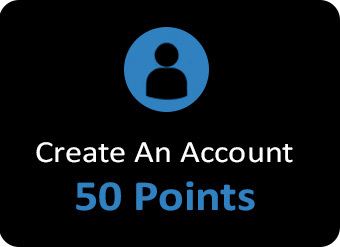 You will have the ability to select how many points are applied to your transaction, so, if you want to use all of your points on one order, go for it! Prefer to split them up and save? That works too! Your up-to-date points balance is displayed within your NicVape.com Account under "Rewards" and your points balance can always be viewed on the check out page. Yes, NicVape Reward Points are eligible for redemption within 2 years of the points becoming active. NicVape Reward Points will post to your account as soon as you complete a transaction, leave a blog comment or complete a bonus point promotion. Who Should I Contact If I Have Questions About My NicVape Reward Points?